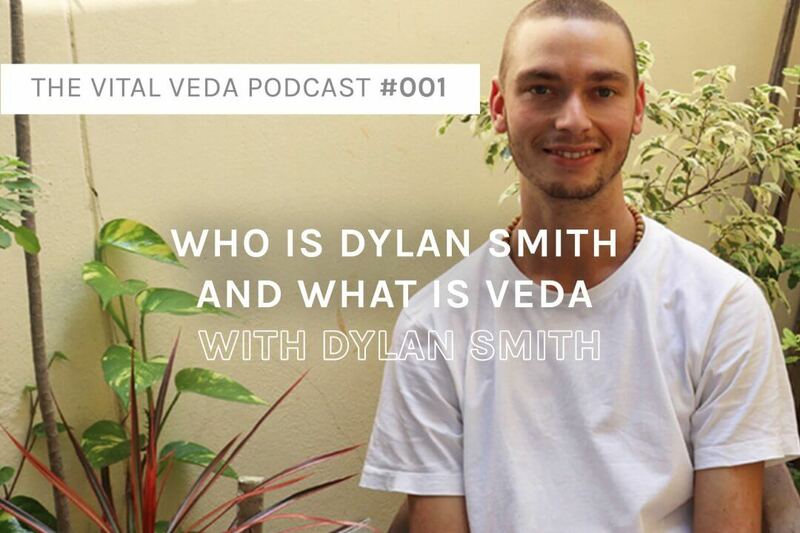 I am your host Dylan Smith, an Ayurvedic health practitioner based in Australia. Before the show really kicks off into the episodes I wanted to take the opportunity to introduce my self, get to know me and hear what the intention of this podcast is. I also want to give a brief short overview of one of the core topics of this podcast, Ayurveda and Vedic Wisdom. I wanna shout out to my friends who helped me produce the theme song, Ari Levy and Yoav Goldberg from Moose head studios in Sydney. I got into health and transformation when I went to India and learned yoga and was exposed to Ayurveda. Now I’m a Ayurvedic practitioner, teacher and speaker. I have a small clinic in Sydney where I consult from and offer a diverse range of body treatments. I also travel a bit around the world to offer these services. I have a passion to take the ancient, rich wisdom of Ayurveda and make it applicable, practical and relevant to todays day in age, where really right now Ayurveda is so relevant and needed more than ever. Part of this is using modern science to prove ancient wisdom. People who implement these practices and treatment protocols feel the benefits. The holistic process of ridding disease, which may become like a journey, is fulfilling. They experience the essence of health and actually thrive with vitality! It is a system of holistic medicine that encompasses the entire universe; nature, the body, mind and spirit. Really, Ayurveda has a say on everything. It is part of the Vedas, which is knowledge governing the unity of the laws of nature and human consciousness. Yoga, meditation, Ayurveda, sthapatya Veda which is Vedic architecture also known as Vastuu, Jyotish (Vedic astrology), all these sciences are derived from the Vedas. This ancient science guides us how to live in harmony with nature and when we live in tune with the cycles of nature, we tap into our own specific human nature. That is where perfect health lies. And by the way, it is absolutely in everyone. But you have to enliven it. From that place, you can live with minimal to no suffering and radiate life for all to enjoy. Ayurveda does this through a wide variety of holistic and preventative actions and treatments such as diet, herbs, lifestyle, body treatments and a variety of measures. What I love about Ayurveda is that is has been around for a very very long time. Ayurveda is actually as old as nature, but for the past 5000 odd years, it has consistently been practiced. And through all this time, nothing has changed. None of the knowledge, none of the parameters. Unlike a scientific study, a medical degree, a food fad! a health fad, a “bio-hack,” whatever it may be, Ayurveda doesn’t change. It doesn’t need to revise texts or updated editions. It is an eternal science. It is so closely correlated with natural law that it becomes applicable, useful and highly relevant to the whatever the need of the time may be, wherever on planet earth. This podcast will share how to bypass any of the obscure perpetuating fads of health and rather develop skills and a capability to tune into our own body and mind, awaken our instincts and flow downstream in our unique individual path of life rather than struggling to paddle upstream. Let's approach health via that route. Engage in life in a frictionless flow. You're not going to be talked at in this podcast, I rather intend you to be inspired, to resonate with me and whoever else is on the show. To take the information and conversation and make it relatable to your life. Inevitably, once you have the knowledge it’s going to be enlivened within you. But awaken and expand your capacity to be aware of that in your body. To invite, support and nourish these beautiful practices, notions whatever they may be. Don’t just take my word. Be empowered to experience this. I’m only interested to interview experts in their field who are authentic, pure and engaged in action that is going to be highly evolutionary. Plus, you deserve the best. So I’m going give you the best, and I am so fortunate and grateful to be able to interview these guests and learn all this wonderful knowledge my self. Please subscribe to the channel so you don’t miss out on any juicy knowledge and I would really appreciate if you could rate and review the show. I really value your feedback and love reading it.